With summer less than two weeks away, it’s important to make sure that your home is ready for the warmer months of the year. While Merrimack Valley can enjoy mild weather throughout June, July and August can bring hot days that can quickly become unbearable, especially if your air conditioner isn’t working properly. With AC repair from Lamco Systems, you can rest comfortably, knowing that your cooling system is keeping up! In this post, we’ll take a look at some summer cooling tips that will hopefully help you and your family remain comfortable all season long. The summer sun is fantastic when you’re at the beach or enjoying time on the lake, but it’s not so great when it’s shining through your windows and heating up your house. If you have south- or west-facing windows, then make sure the blinds or curtains are closed during the sunniest parts of the day. You can drastically reduce the temperature inside the house by simply shutting out the sun, which means that your air conditioning unit won’t have to work as hard. Everyone knows that the right ceiling fans can help keep your home cool, but if you haven’t turned them on since winter, when they were helping the furnace heat the house, then make sure they’re rotating in the proper direction for summer. While clockwise movement is great for winter, you’ll want your fans to rotate counterclockwise in the summer so that they pull air from the edge of the room and push it into the middle, providing a “wind chill” effect that keeps the room cooler and more comfortable. If you have a guest room that’s not being used, then why use energy to cool it during the summer? By closing the vents and the doors in that room, you can force the cold air to find its way to other parts of the house that are being used. Your living room and bedroom will be at the right temperature, no matter what time of day it is. Once the sun sets and the temperature cools off a bit, take advantage of that by opening some of your windows. If you can, create a cross breeze by opening windows on opposite sides of a room, or opposite ends of the house. With air moving through the house, it will feel cooler inside and you won’t have to run the air conditioner as much. Standing in front of a vent that’s blowing cold air can be a great way to cool down in the summer, especially if you’ve been outside for a few hours. However, there are other ways to regulate your body temperature during the hottest days of the year. You can cool off from the inside by applying cold water to your neck or wrists, and staying hydrated will help keep your body from overheating. A quick, cold shower can also help, as can what type of clothing you wear during the day. 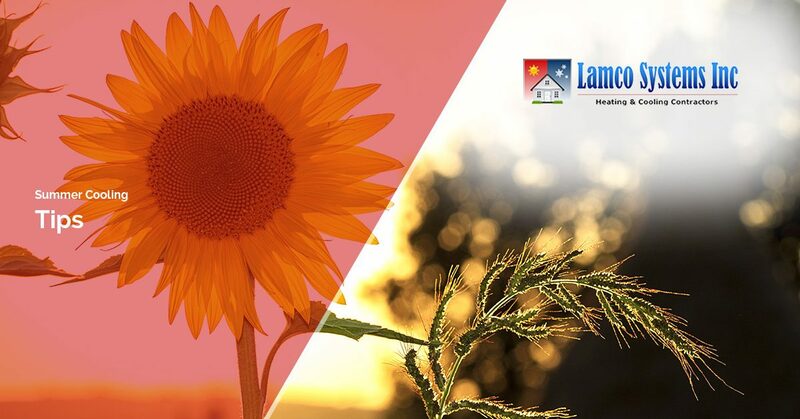 At Lamco Systems, we want you to be cool all summer long. When you need AC repair in Merrimack Valley, give us a call right away!